Managing a garden is a form of art. Knowing what goes where is something that not everyone can do. 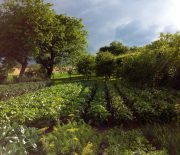 However, often times growing a traditional garden is not as interesting once the project is finished. That is something the old-time Japanese gardeners knew very well. However, coming up with ways to accentuate the look of the garden and make it feel closer to nature is something that takes time and skill. One thing that not so experienced gardeners can do is practice niwaki. 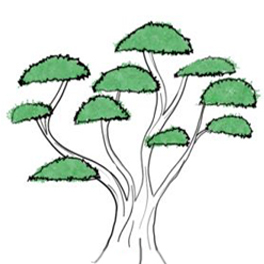 A form of tree growing where you, the gardener, change the way a garden tree looks. The rules and philosophy behind Niwaki have been developed throughout thousands of years. The pruning techniques which are meant to coax out the trees and accentuate the spread of branches are super easy. That and just a bit of knowledge and niwaki can be done even by amateur gardeners. 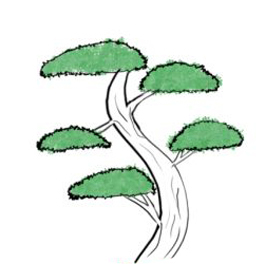 How to shape a tree niwaki style? How to maintain niwaki pruned tree? 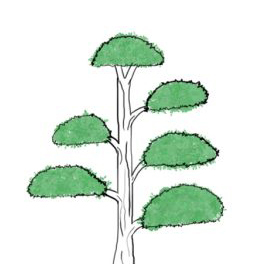 Niwaki is one of the most recognisable tree art in the world, yet most people don’t know it by name.If you ask a Japanese person to translate “niwaki” to you he’ll most likely translate it as “garden tree”. And that is the meaning of niwaki. But if you take a look at a Japanese garden what you see is that in Japan it’s more than just a garden tree. 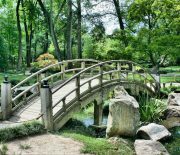 Japanese people are very fond of their gardens and throughout the years the garden in Japan has played a very profound role. 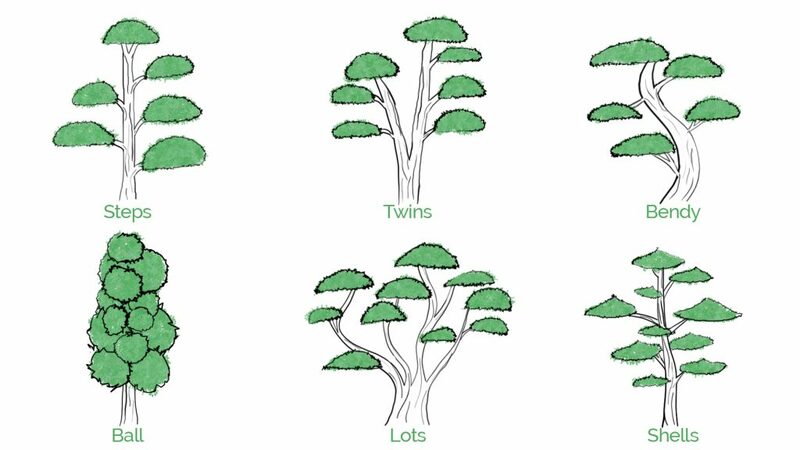 Every tree and bush is shaped to perfectly fit in the garden. Creating cloud trees and pruning of the tree the way that it creates a certain form is something that takes a small amount of knowledge with amazing results. You can create some amazing results with niwaki. It gives you the power to transform the look of your tree. The interesting thing in Japan is that unlike us, they keep the number of plants they use quite small. Japanese gardening is limited to certain plants and applying niwaki techniques makes some pretty stunning shapes. 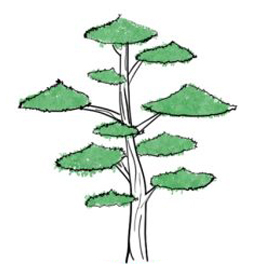 In niwaki, the whole idea is to keep the tree in accordance to its surroundings. The Japanese art of cloud pruning is heavily influenced by nature. Gardens drawing inspiration from mountains, waterfalls and rivers. The way Japanese gardeners do this is by combining different techniques such as trimming, clipping and pruning. The idea is to signify the essence of the tree. Niwaki creates outstretched branches and rounded canopies, which in Australia we know as cloud pruning. In order to practice niwaki, you’ll need to spend the next seven years of your life as an apprentice. But only in Japan. 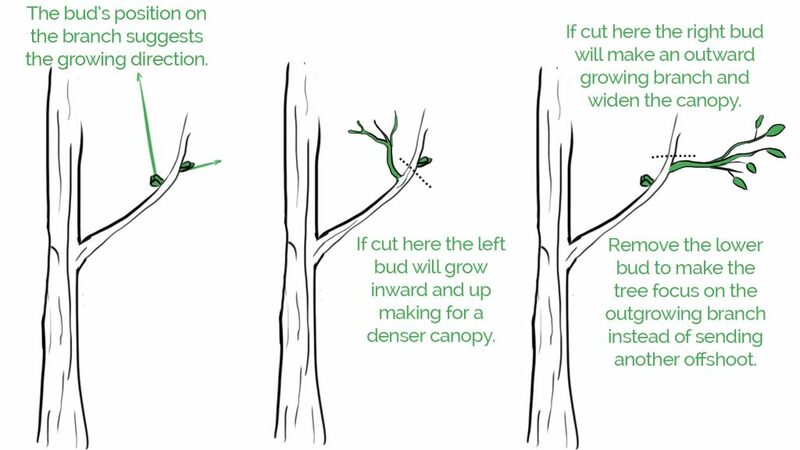 If you happen to live in Australia, however, all you need to know is basic knowledge on pruning. Everything else comes down to trial and error and a lot of patience. That is because even the best gardeners of us can do nothing when it comes to waiting. Growing trees is a long process and patience is mandatory. After all, you are building your own zen garden. There still is a way to shorten the period of time. You can either choose a type of plant that grows faster or already a bigger plant or tree. Yet, a bigger tree means that you’ll have to spend that extra bit on transportation. Now that we’ve gone through the fact that niwaki requires patience it’s time to choose the right plant. Cloud pruning requires the tree to be deciduous, even better if it’s evergreen. We are kind of limited to a couple of choices really. These four trees seem to be the most suiting for pruning and easier to shape than other types. Cloud pruning, when done right, creates some very beautiful results. Tree branches look like clouds (hence the name). There are rules that you have to follow. At first, when you go to choose the plant that you are going to use make sure it has some interesting branch formations. Often times the more strange the branches look, you get best results when you start cloud pruning it. When you decide which tree to get and you’ve found the perfect place for it in your garden it’s time to prune. You’ll have to figure out which branches you want to leave and which you would like to keep. Using your tool of choice (pruning saw or secateurs) cut out the unwanted branches and clean the base of the tree. It’s perfect to be done when the tree is still young. That way the marks of the cut won’t stay and will disappear with time. After you’ve trimmed to the desired length and shape leave the tips at the end of the branches. That way the tree will grow in a cloud shape. While growing you can use ties and stones to redirect the growth of the branches. It mostly takes patience rather than skill. Pruning a tree to make its branches resemble steps requires time. It’s best done with taller trees that have enough formed branches on them. Note the branches that you’d want to leave on the tree and cut out the rest. This type of pruning can also be practiced with young trees that still develop their branches, as that way there won’t be branch marks. Splitting a tree into two halves can be done in two ways. Either the tree has to split by itself (usually old, big trees split under their own weight) or the more desired method, form a young branch into growing upwards. This can be done on young trees. 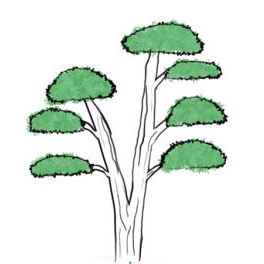 Your goal should be forming a second branch that is strong and thick enough to grow smaller branches that would later be pruned in resemblance to the other branch. Making bendy trunks of the tree is at the same time beautiful and slow. This effect can only be made with young trees that still have soft trunks. It can be made with ropes, by slowly tightening and curving the trunk in the desired direction. It can take months before the desired effect is reached. Ball pruning is done by keeping the branches of the tree short. This type of pruning can be a bit hard as the branches are close to each other, allowing for little room to work. You will need a tree with a full crown in order to achieve the effect. 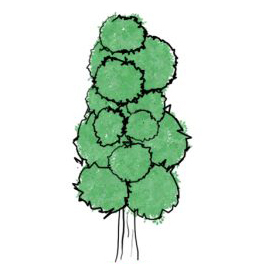 Young and medium aged trees can be shaped in balls, as long as the branch isn’t too thick. 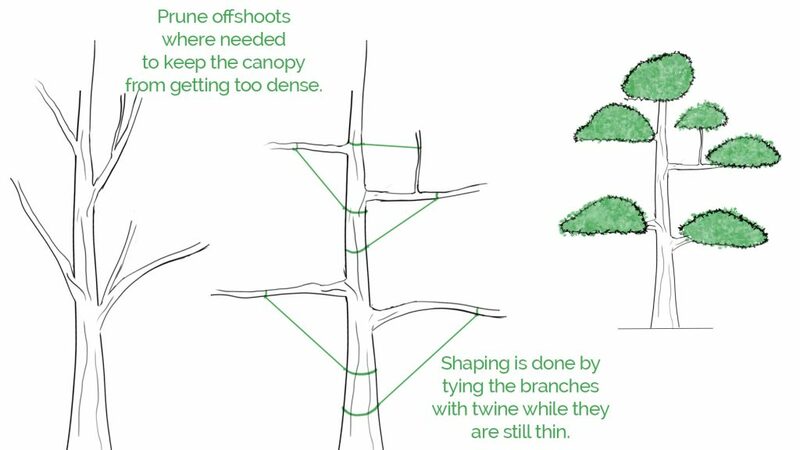 Perfect pruning technique for trees with wide branches. Shaping a tree in lots requires constant maintenance as any newly formed branches must be removed. It’s hard to shape a grown tree in lots, but the branches of young trees can be manipulated and formed with the help of ropes and pulleys. Shell pruning is a mix between step and ball pruning. You’d want to prune a tall tree, keep its branches medium to short length. Any newly formed branches should be removed. On top of that, you’d have to prune the shape of the crown of each branch in order to achieve the desired look. Maintaining niwaki is quite easy. Depending on that if your tree grows faster or slower you’ll have to prune it once or twice a year. In Japan pruning is done only once or twice. Small branches aren’t cut and are left until the day to prune comes. All of the work is done in a day. If you have chosen a shrub, make sure you do the pruning after watering it. While beautiful niwaki can be hard to practice. Our tree surgery experts in Melbourne can come in handy. Ready to book?